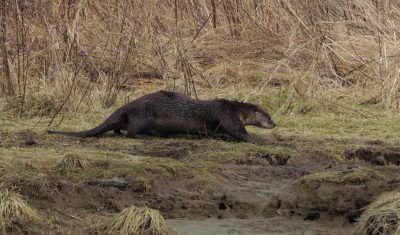 Today was a day of Do-si-do, farming smells and Otter nonsense, 6 eager counters faced what I thought was a lovely day although two of our team needed some goose fat rubbed into their bodies to stay warm, fishes blood comes to mind. This week we had a new lead driver in Jane and what a wonderful job she did getting us round unscathed and following directions to a T. Even Barry had a job to keep up. 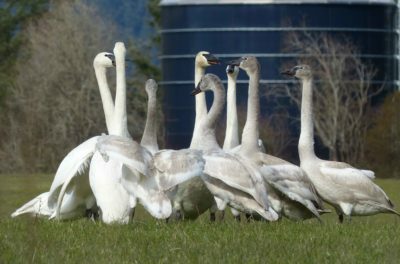 This week we had a small drop in the number of Trumpeter Swans down to just under 650, having read the reports from up island it looks as if some have started that long journey already. Even the Canada Goose numbers went down a bit although these guys tend to move around a lot more and could have been in a field not visited by the team. 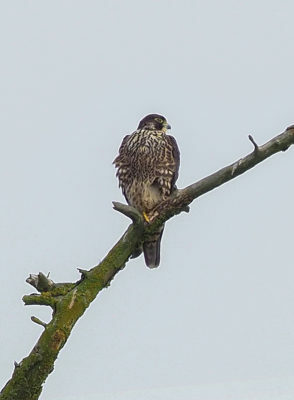 Raptor numbers were not bad and a very obliging Peregrine Falcon with a bold face mask was nice to see. 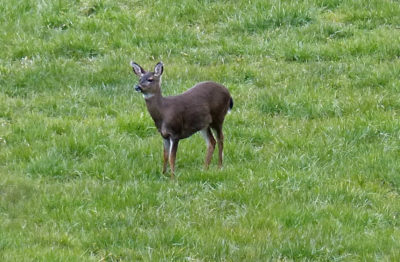 It was an amazing day for watching some really nice sights of nature, a young doe standing in a field watching us watching her, some amazing dance moves by the Trumpeter Swans, a River Otter that appeared to have taken up aerobics as it gyrated away in Cowichan Bay and thanks to Barry a study picture on how to tell both American and European male Wigeons apart. This week we had a first of the season when I just happened to mention we could get a Turkey Vulture, I waved the magic pencil and Barry spots two circling over at Herd and the Highway, next week we will try for something a little more rare and exotic. Again this week most of our hot-spots had birds to count, so things went very smoothly with no major problems except at Bench Road where a truck was parked in the field and two people were walking across the field with clipboards, the swans did not like this at all and some smaller groups started to lift off. This couple continued across the field until two of the major flocks took to the air. This conduct even if this is on your property contravenes the Migratory Bird Act as disturbance of migratory birds carries a hefty fine, we did take pictures and will forward this to the appropriate authorities should we witness this again, this should not happen in this day and age of fast diminishing numbers of birds world wide. The farmers were out spreading their cheer around the fields and several times we saw their large wheeled drays traveling along the road and at one spot that lovely farmyard aroma came wafting in the car, not being a farmer I can never get used to this smell but it does help with the growth of the fields. I did notice the fields that had already seen a cover of this liquid did not have any swans on them, so farmers there you go this might be a deterrent. 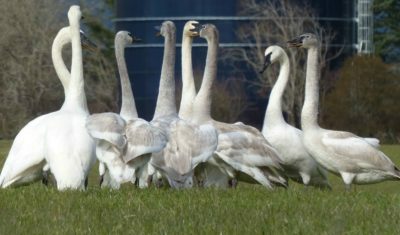 We arrived at Koksilah Road east where a good number of swans were gathered in the fields and it was here where we witnessed the Do-si-do swan dance and oh did they put on a great display for us, even Bob a member of the shiny shoe shuffle group had to be impressed by some of the swans moves. What the purpose of these dances are, i am not sure, whether it is a bonding thing or a pre-migration dance who knows. It is a bit like the stop rain dance I do every Tuesday night in hopes of a good day for Wednesdays count, only I don’t have any partners to join me. 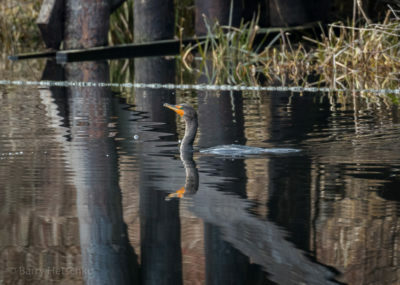 In Cowichan Bay as has been the norm this year we were witness to some of our best sightings with a River Otter who was on the far bank writhing and wriggling around on the grass leaving it’s scent for any unsuspecting animal to come and put there foot in it. 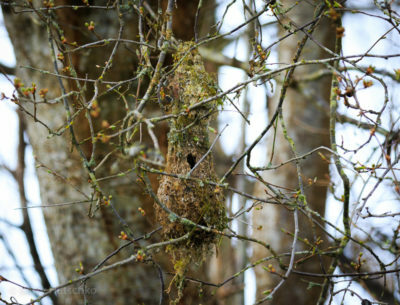 Many pictures were taken of this wonderful piece of nature happenings. 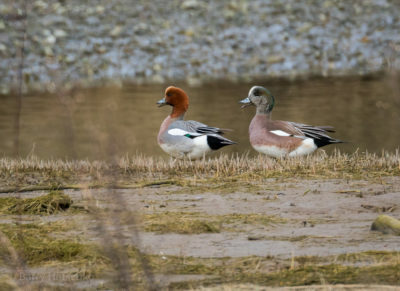 Just off to our our left I spotted a male Eurasian Wigeon which sent Barry off down the trail to get a few snaps. Many people ask me how do your tell the difference between Eurasian and American, well I think Barry’s wonderful picture explains it just perfect, well done mate. Our day was done and as we wind down to the last three counts of the season our big white friends are starting their long haul north and we wish them well and a safe journey.